Saturday in Arlington: What went right, wrong? With a national title berth on the line, Saturday night’s contest for the Big 12 Championship between the Texas Longhorns and Nebraska Cornhuskers was a game for the ages. While Texas QB Colt McCoy probably lost the Heisman Trophy with his performance, McCoy got his team’s wish of delivering on the chance to play for the national championship in Pasadena leading the ‘Horns to a 13-12 victory. Let’s take a look at what went right and what went wrong for both squads on Saturday night in Arlington. Well, not much, really. While the Nebraska defense was superb, Texas defensive coordinator Will Muschamp and his squad’s effort should not be overshadowed. In a game where the Texas offense couldn’t stay on the field, the defense was asked to step up and keep the game within reach and they did. The defense gave up only 106 yards offensively to Nebraska – 39 passing and 67 rushing – and yielded only five first downs the entire game while tallying three turnovers. The kicking game – and we’re talking the field goal unit only – was the star of the night. Senior kicker Hunter Lawrence was the epitomy of calm on Saturday night, as he was 2-for-2, including his game-winning 46-yard field goal as time expired. The Texas offense was absolutely pathetic. In large part, Nebraska’s defense is to blame – they played fantastic across the front four and in to the secondary – as they pressured McCoy all night, and locked down every receiver Texas threw at them. If Texas was going to play Alabama for the national title, the Nebraska defense gave them the best preparation they could ask for, and Crimson Tide coach Nick Saban will bring a similar defensive attack in Pasadena. As mentioned, with only 184 yards passing on 20-of-36 attempts and three INTs, McCoy did everything he could to potentially lose the Heisman Trophy race. As expected, the running game was also dominated by the Nebraska front four, gaining only 18 total yards (keeping in mind McCoy’s sacks contribute to that total). All told, the Texas offense gained only 202 yards of offense and 17 first downs on the night. Pure and simple, the offensive line played like a pee-wee team against one of the best defensive tackles in college football. Period. Special teams continues to be a concern for the Longhorns as well. While there were no game-changing plays in the kicking game, they were far from perfect, as they gave up a big return late in the game that if not for Nebraska’s anemic offense, could have spelled trouble. Combine that with the partially blocked punt, and this group needs to get their edge back. Saturday’s game marks three games in a row where the specials have looked anything but, and it will need to get fixed before the national championship. Obviously, the defense was phenomenal. The unit racked up nine sacks on the night, with 4.5 from defensive tackle Ndamukong Suh alone, and they held Texas to well under their season average in points and yards. More impressive, perhaps, was the effort from their secondary, which covered everything underneath and gave McCoy no where to throw when he was under pressure. They also kept Texas off the field with three key INTs, two of which were more on the receivers than McCoy, but eliminated Texas from getting any rhythm on offense. Despite the loss, the defense earned back the “Blackshirts” mantra of Cornhusker lore on Saturday night. The offense. If Texas’ offense was pathetic, the only word to describe the Nebraska offense is inept. Here again, the Texas defense played a large role in inhibiting the Cornhuskers to put up any points, but when your offense is geared to the run, and that is the Texas defense’s strength, you’ve got to try some different things offensively. The Cornhuskers’ offense managed only 1.93 yards per snap, and their stout running game had no back carry the ball more than seven yards on a single carry. Yikes. Early on, the Huskers tried to use play-action to tee up the long pass, but the Texas defensive backs came up with two big INTs when QB Zac Lee looked downfield. Lee can play better, but his Saturday night should leave all Big Red fans wondering his future at the position. In the end, a highly-desired BCS controversy was averted, and TCU and Cincinnati can sit back and think back to just how close they came to making their run for a national championship. Early BCS projections (although the final announcements will come 5:00p PT on Sunday) have Cincinnati in the Sugar Bowl facing Florida, while TCU and Boise State would match-up in the Fiesta Bowl, the first time a BCS bowl outside of the national championship game would host two undefeated teams. To round it out, Iowa (most likely) or Penn State would play Georgia Tech (ACC champ) in the Orange Bowl, and Oregon (Pac-10 champ) and Ohio State (Big 10 champ) will play for the Roses in Pasadena. 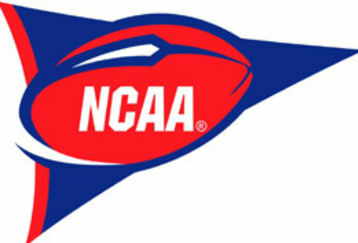 In the coming weeks, post-season awards will be won and lost, and bowl games will decide the fate of many schools 2009-2010 seasons. Come late Saturday night, however, McCoy and his team won the best post-season award of all – the Big 12 Championship and a chance to play for the national title.